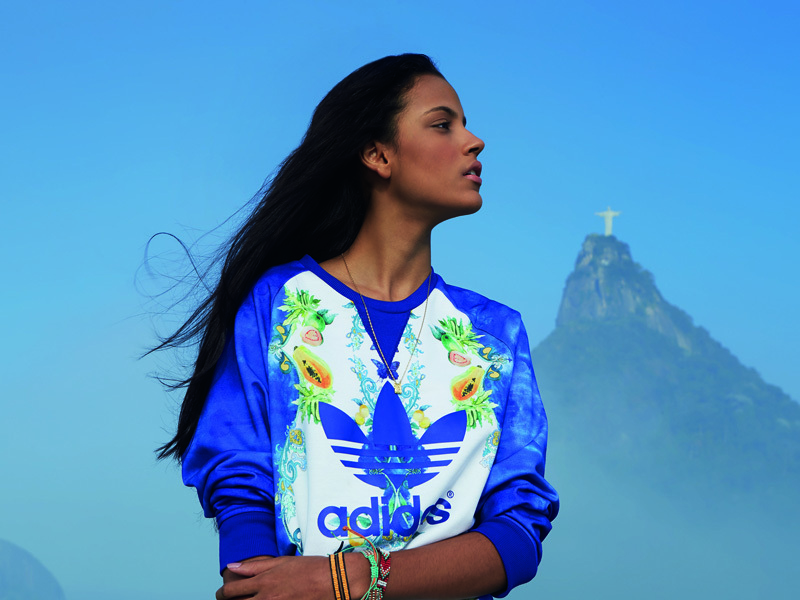 adidas Originals once more partners up with iconic Brazilian label The FARM Company to chase away the winter blues with a riot of rainforest revelry and an inimitable lust for life. Chaotic prints swarm joyfully across a tightly curated capsule collection comprising beloved Originals classics next to exclusive fresh silhouettes. Vibrant and exotic, four key prints transform a winter wardrobe into a colourful carnival of pounding rhythm, and exploding graphics that burst with tropical sunshine. For casual street style, the adidas Originals Adria Lo is an icon of vulcanised design. Laid back but always fashion forward the urban favourite gets a tropical makeover with the collaboration of FARM. Canvas uppers are given carnival attitude as vibrant tropical prints enforce a lust for life. Soft suede toe caps and printed three stripes in tonal shades highlight bold repeat graphics and bursts of vivacious colour against the fresh white of the Adria's classic vulcanised rubber outsole.